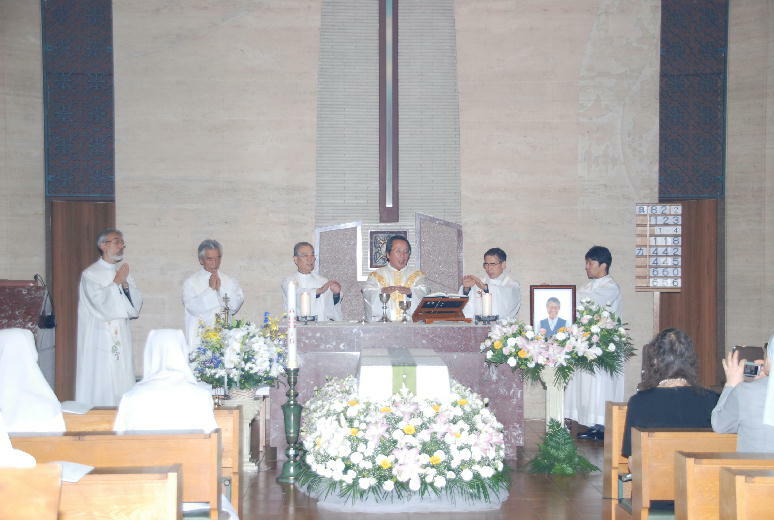 A day of hot summer days, 2nd of August, Sr. Kurihara went to Heaven. She has been fighting with cancer and dies at the age of 67. Sr. Maria Agnes Kurihara Shizue was born in 1939 in Tokyo. She joint Daughter's of St. Paul as a missionary on August 1964 and spent several years of training in Tokyo and she took her first religious vow as a nun in 1968. She was selected to work at the bookstore and she loved her missionary work which able to meet different people. 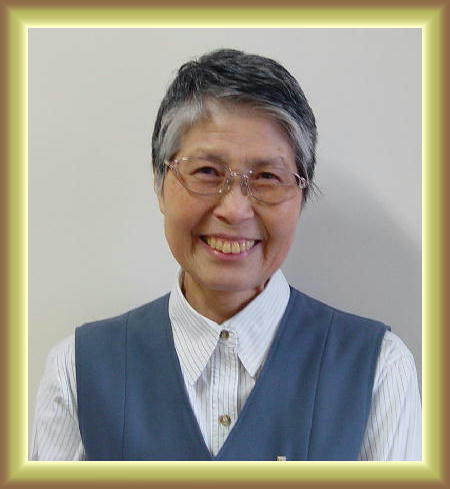 She worked at bookstores in Tokyo, Nakasaki, Sendai, and Hiratuka kindly with her great smile. She studied hard to make her missionary work valuable and meaningful, and spent a time to choose suitable books for each customer. In 2007, her condition took a turn for the worse, she move to Tokyo, yet she was keep spending all her power to her missionary work. The cancer has spread to her body and became much tinner. But she was keep coming to the morning mass every day and pray intently. She had two wishes. Until her last moment, she firstly wanted to keep her missionary work and secondly wanted to be a member of Daughter's of St.Paul. At the time she wished those to things, she was explained her mind as follow. "I deeply appreciated to know the great spirituality of St. Paul. I feel like I'm living with the only truth." Her eyes were shined beautifully. In her last few weeks, she became so weak yet her beautiful smile was still there. She was quietly preparing her last moments. On 20th of July, her fever had risen and so she was sent to the hospital immediately. On 26th of July, she left her last words that she appreciated to be a daughter of St.Paul until her last moment, and giving her life for new vocation. 3:28pm, on 2nd of August, first Saturday giving to Mary, Sr. Maria Agnes Kurihara Shizue passed away peacefully within the prayer of her family and sisters. Until the very last moment, she devoted her life as a daughter of St.Paul, which shows us a great model of Christian life. We believe that she is now relieved from pains and peacefully resting with our Father. 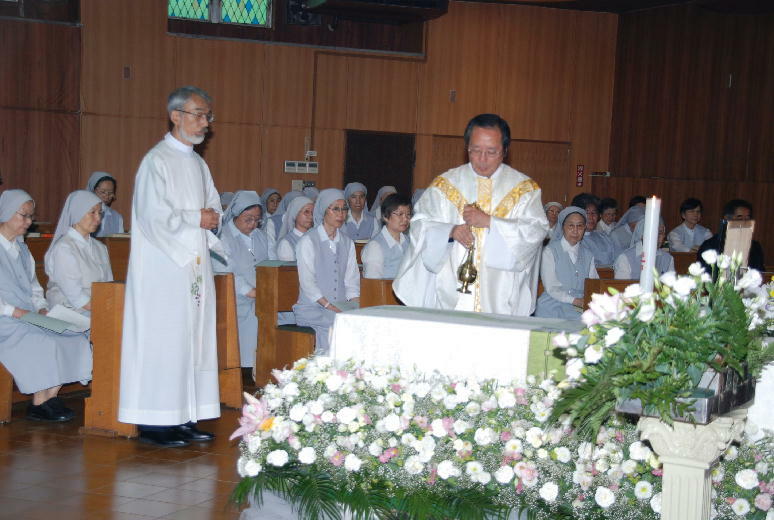 Sr. Kurihara, who are with our founders and Sr. Tecla and other sisters, please pray for us, for our missionary works and new members.